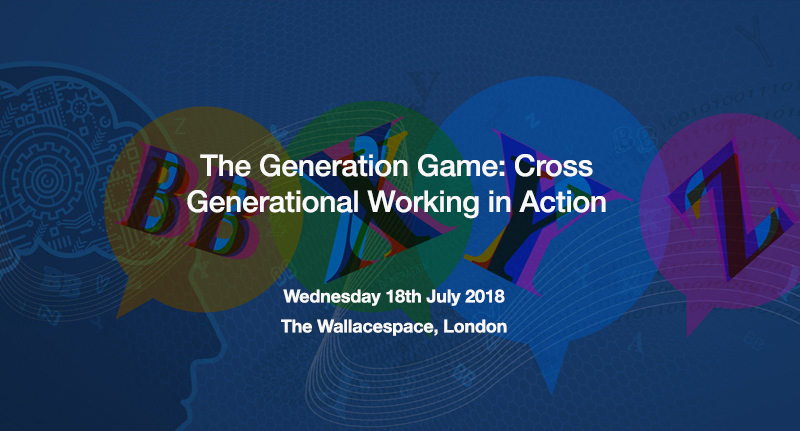 OE Cam is delighted to be hosting a breakfast event on Wednesday 18th July at The Wallacespace in Covent Garden on the theme of motivating, engaging and building effective cross-generational teams. The arrival of Millennials in our workforce seems to have caused a bit of a stir… The Veterans and the Baby Boomers have just begun to get used to working with Gen X but the Millennials seem to be more challenging. Is this ‘go getting’ generation really so different to the youths that came before? Or could the digital revolution be playing a part in exaggerating difference and leading us to believe there’s a problem? Diversity of thought creates an unprecedented opportunity for innovation and growth; providing that the new challenges around employee engagement, managing culture and motivating teams can be met. We are delighted to have Robin Belither, Operations Director from Metropolitan Pubs, as the speaker at our event who will share his experience of cross-generational leadership in a fast-paced and diverse hospitality business with 1,600 people across the teams ranging between 16 and 65 years of age. Hazel McLaughlin, Partner at OE Cam will lead an interactive session to explore how to develop a generational talent framework in practice. In the meantime, to learn more about the challenges and opportunities of multi-generational working, please read our management journal, The OE, “Talking About My Generation“.